Halloween is next month, but if you are like me you are already getting into the Halloween spirit and your mind is beginning to start thinking about ways to get into the festivities. I don’t usually dress up in costume (with three kids I am usually spending all my time getting them all finished and dressed up), but sometimes it is nice to add even just a little Halloween touch for the day. This year Wet n Wild released some really cute paper lashes as part of their Fantasy Makers line, and I could not resist picking up a couple of styles. These (the style Entangled) can be used with costumes (this pair has spiders, and costumes for witches come to mind) or with Halloween themed colors like I have done. 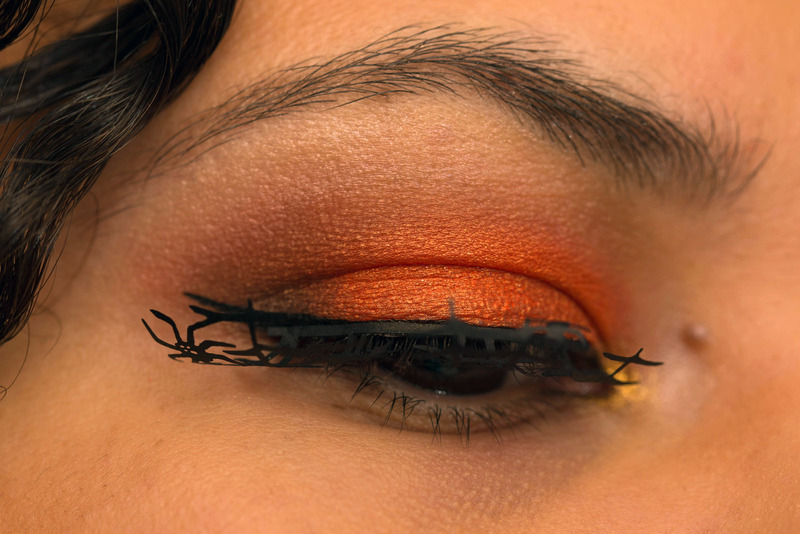 I chose orange for my lids, because why not? 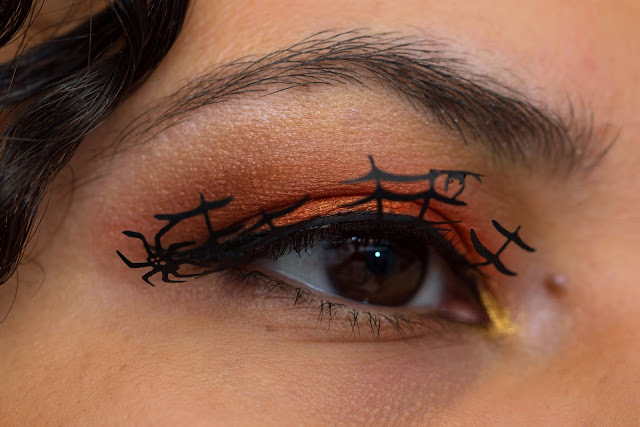 These lashes are super cute with their webs and little spiders. Normally I don’t find myself needing to trim lashes to fit, but these needed some trimming. Also, I found their thick lash band a bit harder to hide. Still, I am very much a fan of these super cute lashes. 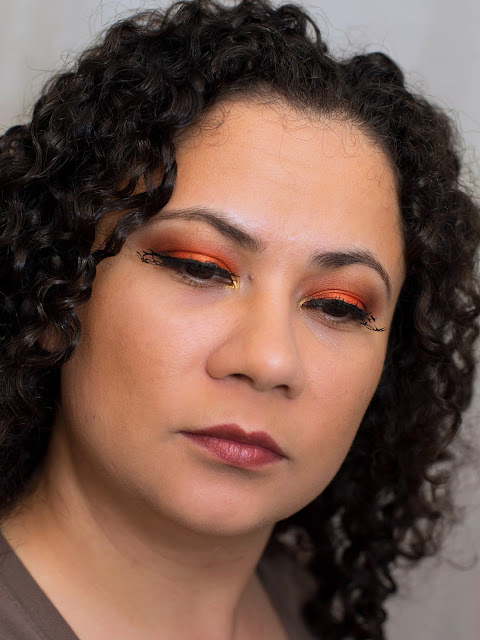 Leticia is the beauty blogger behind Cosmetics Aficionado.